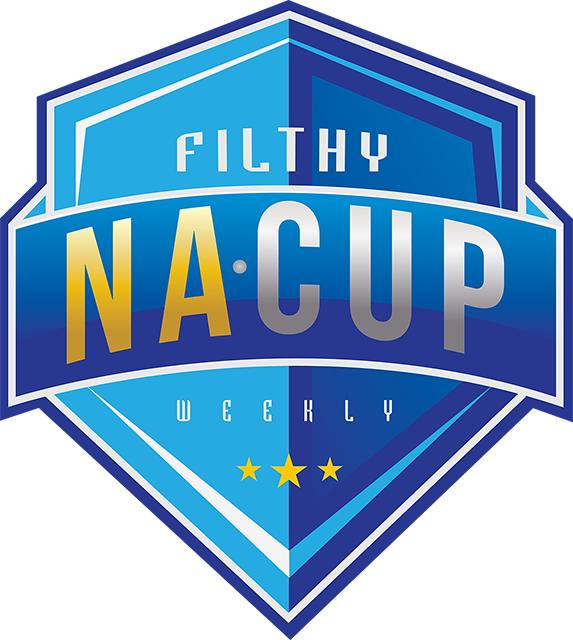 I'm excited to announce a new online tournament series for players from the Americas, the Filthy NA Cup Weekly! This is a $100 prize pool weekly online tournament, open to all citizens and Permanent Residents of the Americas. Every 4th weekly tournament will be open to ALL players globally. First place every week will receive $75, with $25 going to second place. There will also be OSC points awarded for the top 16 finishers. If this goes well, I may hold larger cups less often as well (monthly? quarterly? tbd). All games must be played on the NA Ladder. If there is any contention about which NA server to use for a game, the Central server should be used. Citizens and Permanent Residents of the Americas: North, South, and Central American countries. No VISA holders. In cases of question/debate, this will be left to the discretion of the admins. Every 4th event will be open to all players, globally. The first such Open event will be Feb 13th, 2016. As mentioned above, every 4th week will be open to all players Globally. The first Global event of 2017 will be on the 3rd of March, 2017. In addition to being open to all players everywhere, it will also have DOUBLE the prize pool ($200, with $150 for 1st and $50 for 2nd) and even more OSC points! Players have 15 minutes from the start-time to show up for their match. This means AFTER you check-in, you have a 15 minute grace period to show up to your match. It does not mean late check-ins will be allowed. Failure to do so will result in a walkover/forfeit. If you forfeit in the finals, you will not receive prize money. In addition, if you repeatedly FF your matches (past the first round), you may be banned from future events. Players are expected to report their own match results on challonge. Players also must submit replays of their matches via challonge. Players are welcome to stream their own matches, however ALL player streams must have a minimum delay of 5 minutes. Also, players *may* be asked to stop streaming if their streams result in lag issues in-game. I am super excited to announce that we're partnering up with OSC to offer OSC points and other awesome incentives for participating in the Filthy NA Cup Weekly! NA + L.Am players gain 2.5 bonus Participation points, which counts towards $1200 Participation Competition. ANZ + SEA players gain 2.5 bonus Participation points, which counts towards $1000 Participation Competition. For those who are unaware, The Oseanic StarCraft 2 Championship Series (OSC) is the Oceanic, South East Asian, North American and Chinese regional championship, which follows a yearly season format, where players earn points for placing in all partnered tournaments. Although the network is based in and focuses on these regions, many events are open to everyone in the world. The top 50 players ranked via the OSC World Rankings at the end of the season are invited to play in the minimum $10,000+ Grand Finale to determine the yearly champion! Players can also win OSC bonuses such as $ Bounties, Participation $'s and bonus points for competing in partnered events like the Filthy Weekly! Play OSC and Win! Folks of all leagues are welcome, but be warned that I expect some high GM players to be in this thing. No problem.This is what NA servers need though to spark that drive for the game again. Thanks for the tourney! LOL no permanent residents allowed?? That's more strict than a US Govt employment requirement..
lol, I am *almost certainly* going to relax this so we can allow folks like MaSa in - just going super strict for week 1 to see how it feels/works first. Sounds awesome, good luck : ) If you ever need help with coverage would be happy to some time! "It's not that I have A.D.D., it's just that oh look a bunny rabbit!" Well I'm in, see you on the 23rd. citizens of north america not even sea players? Nope, no SEA players - this is purely an NA tournament. Sorry! :D I honestly was unsure if he would even participate (even if I DID open it up) - glad to hear you guys are interested in seeing him play in these! Will definitely tune in, keep us updated. Great, thanks for your contribution to the scene! 2: Every 4th Cup will now be open to all players, globally! Huge thanks to the guys over at OSC for working with me to make this happen. Hmm what server is the global cup played on?